First: WHOA--only a few days left to enter the healthy recipe book giveaway! Get delicious recipes to help restore your health. 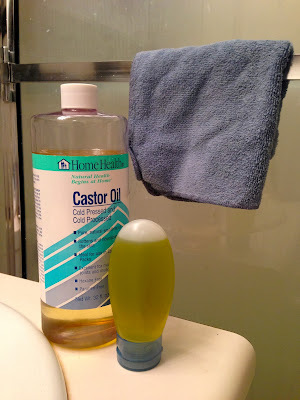 You may recall that my running stalled the last couple months due to illness (boooo). I'm finally easing my way back in; I spent much of November walking on the treadmill (cold weather! ), doing yoga and Pilates, and even taking a Spinning class or two more recently. It's felt good to get moving again, but I didn't want to dive in head-first. I did go to one BODYPUMP class, but my back hurt for a week after. So... not heading back there until maybe later in December. For now, I've been enjoying simple movement, bodyweight work, and cycling--easier on the joints. There's a new sneaker on the market, and it is nice. Unfortunately, I didn't get to try it out myself (still in recovery, anyhow), but Eric did, courtesy of the kind folks at Saucony. 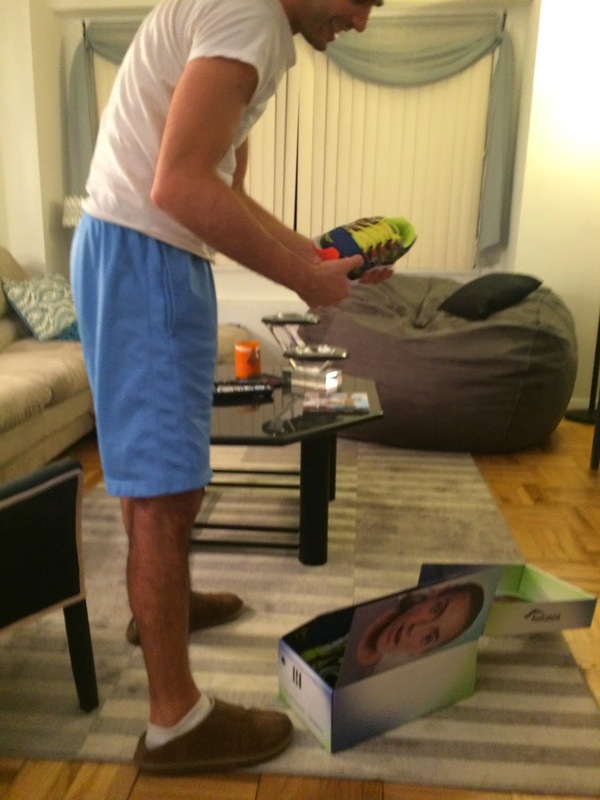 When he reached the sneakers, he literally said "Whoah" aloud, followed shortly by, "They're bright!" They're lightweight, too--only 10.3 oz!! Whoah!! 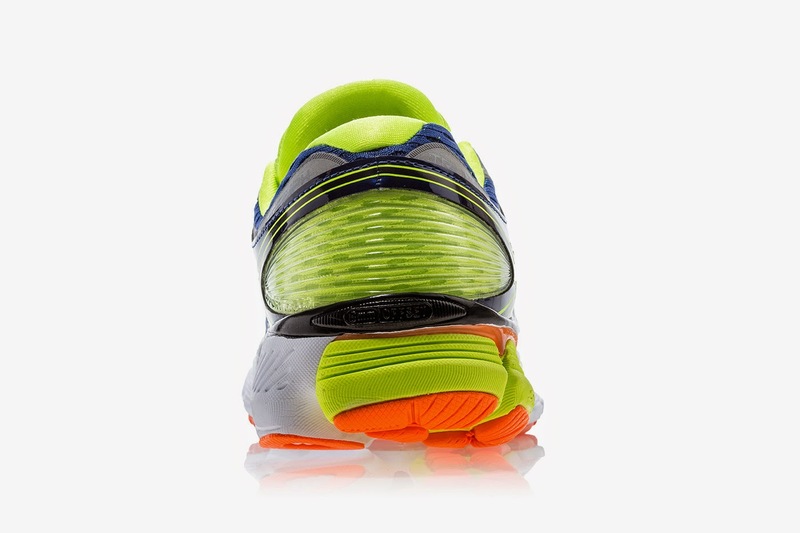 PWRGRID+ Premium Cushioning Foam has 20% more cushioning than standard midsoles! 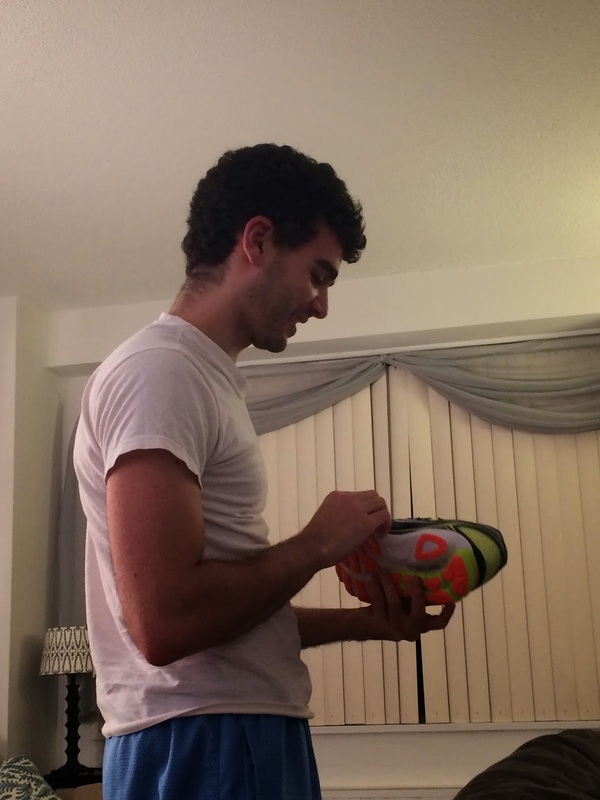 "Shoes were great" --> After taking them out several times, Eric confirms that they're really comfortable! I hadn't primed him with any of the above info--about the cushioning, etc., but he was able to tell right away that it was a key feature of the Triumphs. Negatives: They're too bright, and the box was extremely annoying. [Meredith's insert: Um... those were my two favorite parts.] The shoes were very bright, and the laces kind of feel like they're going to fall apart. They're stretchy, but if you stretch them too far, they feel like they might break. Positives: They're comfortable. They have really good support on the heel; I feel like it's cushiony and bouncy. 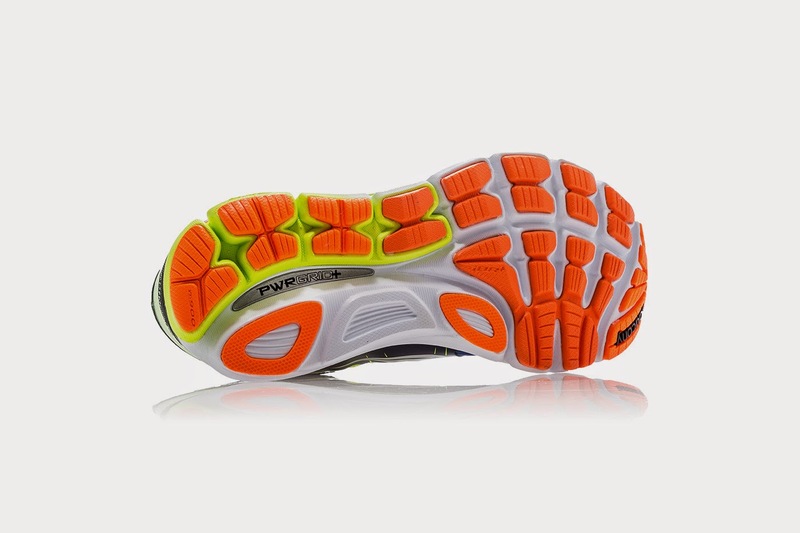 The shoe is really wide and well-padded, so it's comfortable. I wore them to walk, run, and go to the gym [to lift weights], and they were comfortable for all three. They're very forgiving--the padding. Also, I ran on the treadmill with them. Sometimes, my knees hurt when I run on a treadmill, but my knees were fine in these sneakers. Me: "Okay, they're brighter than you like, but will you keep wearing them?" So that does it! Bright or not, he's a fan of the cushioning. As long as they support his feet, he'll keep wearing them. Want to get a pair for yourself? 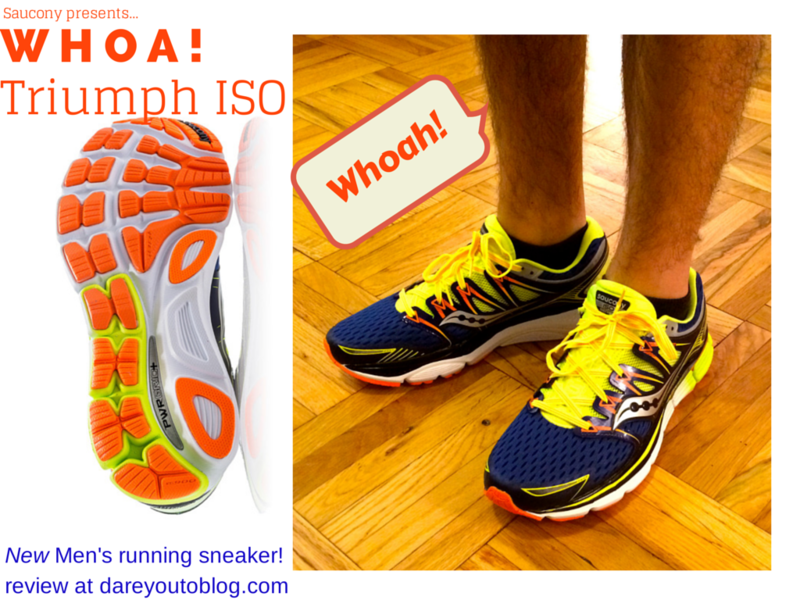 Dare you to enter to win a free pair of the Saucony Triumph ISO on the FitFluential blog!! 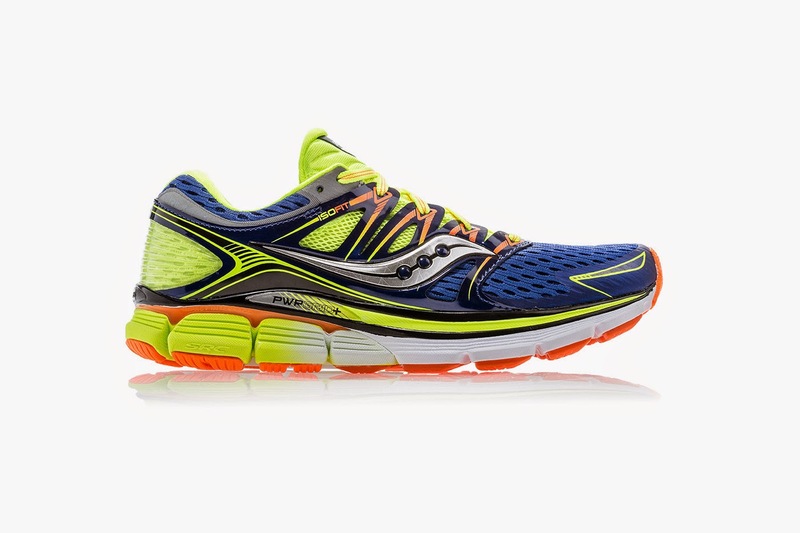 This post is sponsored by FitFluential LLC on behalf of Saucony. Shoes were provided for review, but no monetary compensation was received, nor does sponsorship affect the reviews reflected above.